I installed F.lux to help me work when I have migraines, or "migraine warnings"
But as wonderful as it seems, it only seems to want to do its thing when it thinks it is night time. My migraines aren't so considerate as to only appear at night. Can I manually set F.lux? I can't find this in the settings. 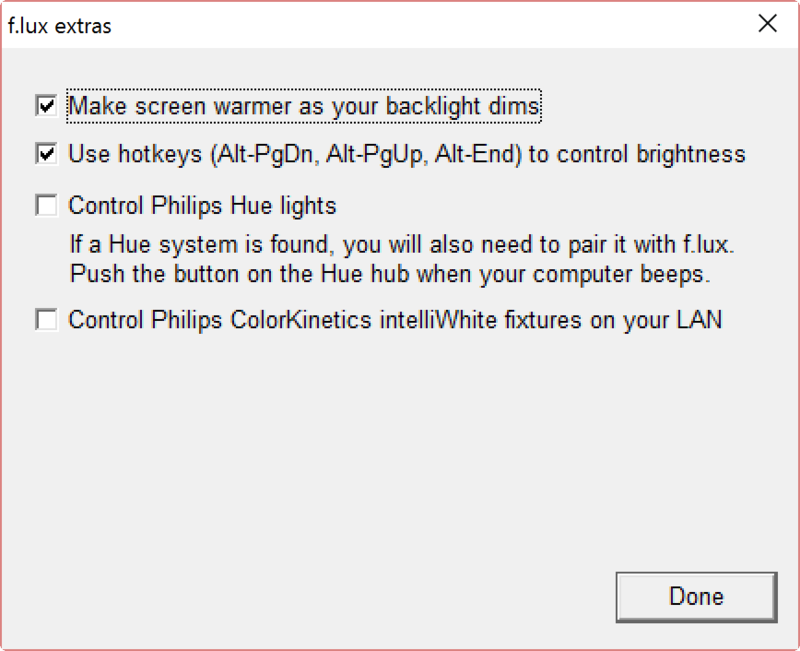 You should be able to set daytime settings in flux. For me I click on Preferences/Settings >> Daytime and then I drag the slider down. I'm using a Mac though so it might be different on windows. I wanted to be able to control it freely as I wish, rather than change permanent configuration settings. So for example, just dim it for an hour if need be.